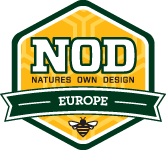 MAQS® is a formic acid polysaccharide gel strip for the treatment and control of Varroosis caused by the Varroa destructor in Honey bees (Apis mellifera). Place MAQS® on the top bars of the lower brood chamber to treat the brood rearing zone of the hive. 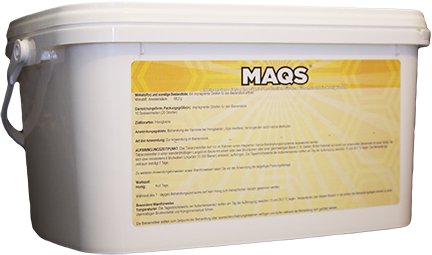 MAQS® differs from other miticides/vet medicines because it targets the varroa mite where it reproduces, under the brood cap. One of the innovations of this easy-to-use strip is the outer wrapping made of BASF’s biodegradable plastic Ecoflex®. It surrounds the Formic Acid and polysaccharide formulation. The Ecoflex® acts as a wick to control the release of the Formic Acid vapours in the hive. Honey bees fan the vapours, which penetrate the brood cap and destroy the male varroa mite, as well as immature female mites infesting the bee brood. NOD has created a convenient Varroa mite control solution, based on “Natures Own Design”. Formic Acid is found in the venom of bees and ants, is biodegradable and leaves no lasting residue.